The spiritual development of all people is a lofty endeavor, yet quite necessary in these interesting times. Never before has the world had such complete access to tools for spiritual advancement, and in this sea of esoteric and practical knowledge, certain practices for spiritual cultivation stand out as especially effective and enjoyable. Taoist Grandmaster Hua-Ching Ni is a renowned healer, teacher and author, credited with dozens of books on Taoist philosophy and wisdom. As the legacy keeper of a long line of Taoist masters, he arrived in the U.S. in the 1970’s and created both the College of Tao and Integral Health and The Longevity Center Clinic & Institute. His many works use plain language, personal experience, and anecdote to convey the simple yet profound message of the Tao. 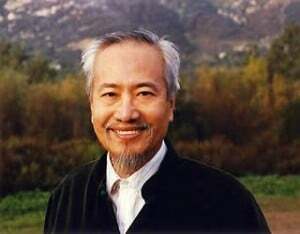 Teacher of The Integral Way, Master Ni’s works include many enlightening spiritual books include Workbook for Spiritual Development of All People, and Tao, the Subtle Universal Law and the Integral Way. Master Ni has also published I Ching The Book of Changes: And the Unchanging Truth, one of the best translations available of this classic of divination. Master Ni’s series of Taoist internal arts includes the book and practice, Attune Your Body With Dao-In, a series of invocations, gentle physical exercises, postures and different meditations. Similar to Yoga in some ways, Dao-In is gentle in its appearance, yet intensely profound in developing the energy body and assisting one in the cultivation of spiritual energy. The benefits of regularly practicing Dao-In are wide-ranging from development of meditative concentration, increasing flexibility, and strengthening the body while massaging and detoxifying the organs. Continued daily effort in this practice as part of intentional self-cultivation yields powerful results, nurturing the energy body, releasing energetic stagnation and improving vitality and clarity. “Ancient people were much less complex than people are today. There were wise people among them, but they were not idealistic, nor were they emotionally motivated to fill the emptiness of their lives. Rather than indulging in religious fantasies or in abstract knowledge for its own sake, they preferred something practical that could help their lives. The purpose of DAo-In is good management of the body. The ancient developed ones who followed the Integral Way of life believed that managing the body was like managing the government of a country. The body is a country or a society, and the mind is the executive or president. The wise executive (mind) of a healthy country (body) considers itself an employee or public servant of the country, not its ruler. Some ancient kings or leaders were tyrants rather than effective rulers. A tyrant (a misapplied mind) ignores the signals of trouble and is self-indulgent, thus bringing disaster to the country (the body). The continued determination to cultivate inner peace and spiritual development is essential in a world marked by increasingly vitriolic discourse and relationships. We are all obliged to refute this madness by staying true to our own pursuit of spiritual growth. Dao-In is of exceptional value in this endeavor. This article (Taoist Yoga for Spiritual Cultivation and Personal Development) was originally created and published by Waking Times and is published here under a Creative Commons license with attribution to Dylan Charles and WakingTimes.com. It may be re-posted freely with proper attribution, author bio, and this copyright statement.